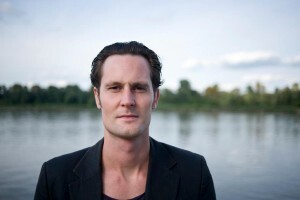 On the long journey of the relatively young Swedish artist Forss, one of the stops was the Sonar Kollektiv label-office in Berlin in the year 2000. His album „Soulhack“ is the soundtrack to a very special journey, or shall we say odyssey. An odyssey which started off with a counterfeit interrail ticket thru europe. The only luggage being a laptop and a whole lot of songs. Songs that just needed a final finish. Later we were to discover that the unfinished ruffness of his work was the essence of his unique artistical output. Nowadays it’s quite difficult to find such musical skills in a 23-year old boy and even more difficult to find them combined with a distinct B-Boy feeling. There is no need to quote any references here. The digital production style of Forss probably led to even more grey hair on the head of our most beloved mastering man Bo Kondren at the Calyx mastering studio. All of Forss’s productions are very dynamic in character. This is due in part to Forss’ usage of distorted sounds that transmit the purest emotions of their creator, who sampled his way thru daily-life and the record-collections of his friends. His laptop is an extension of his own self, a unique unification that results in the establishment of something you could call digital soul. Forss defines himself as a „soul-hacker“ and his laptop is his tool. Slowly but surely we have to understand that he himself can be understood as a work of art: His net-activities, the way he moves thru time and space – it all confirms this impression. Music is his chosen form expression, one form of many. Years after he has released “Soulhack” on Sonar Kollektiv he founded Soundcloud.